Based on Dickens’ own performance adaptation, Simon Callow and director-designer Tom Cairns have created a one-man theatrical extravaganza of festive story-telling that is both heart-warming and deeply moving. 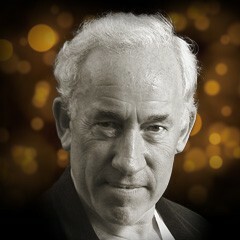 Simon Callow, one of the nation’s best loved actors, returns to Dickens’ A CHRISTMAS CAROL after huge international success with The Mystery of Charles Dickens (West End and Broadway), national acclaim for Dr Marigold & Mr Chops and guest starring as Dickens on Doctor Who (BBC). Simon published his own biography of Dickens in early 2012. On screen, Simon is best known for his roles in Four Weddings and a Funeral,Shakespeare in Love and Amadeus.